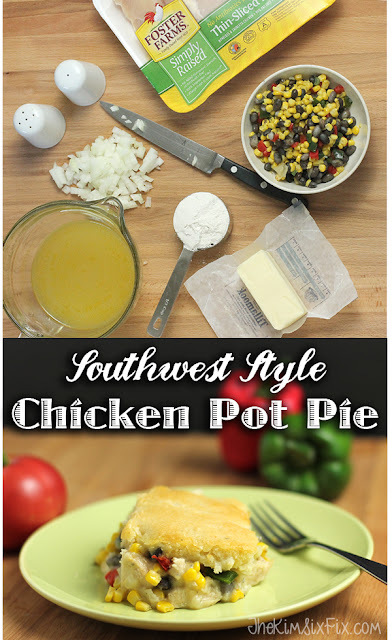 Today’s recipe is so easy and quick, and has so few ingredients, that are you aren’t going to believe how flavorful it really is. Since Foster Farms gave me the opportunity to use their 100% natural Simply Raised fresh chicken in a recipe** I decided to share this Mexican recipe that features not only the flavors of Mexico, but also contains locally produced chicken from my home state of California. I actually discovered this recipe for Saucy Mexican Chicken online a long time ago, and kept wondering how it could have so many 5-star reviews since it was so simple. I mean, it is only chicken and three additional ingredients! How in the world would that give you anything that tasted so fresh and flavorful?! But it does. 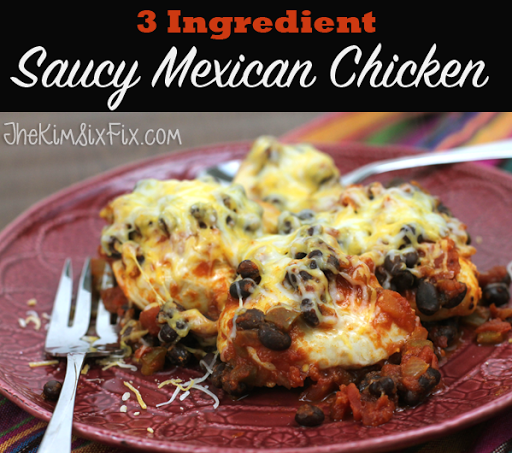 I think the secret is the fact the chicken cooks down in the salsa means the flavors are all absorbed into the meat, and the black beans add a sweet starchy element along with texture. It is a fabulously balanced dish. **You can scale this recipe up with more chicken breasts, but 2 breasts split in half is enough for our family. In this case I used Foster Farms Simply Raised chicken breasts. The Simply Raised chicken products are raised without antibiotics and given vegetarian feed, and they’re 100% natural with no added sodium, hormones or steroids. Plus for a family on a budget but who wants to eat wholesome protein sources, the $5.99/lb price point is great! Sprinkle with the cheese and allow it to melt. My kids really love this recipe. We eat it over rice or with chips. It is so flavorful and the Foster Farms chicken breasts are moist and tender. If you are on the west coast look for Foster FarmsSimply Raised, Organic or Fresh & Natural products in your local supermarket! ** This is a sponsored post written on behalf of Foster Farms® however the recipe idea, photography and opinions are entirely mine. For my complete policy on sponsored posts please see this post. Should you be buying Organic chicken?